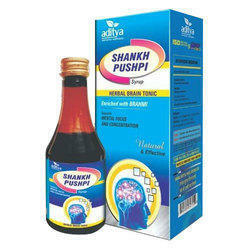 Shankhpushpi Syrup helps to remember things easily and work efficiently. It comprises of anxiolytic and brain tonic herbs. 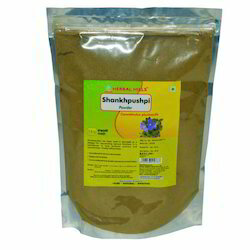 We prepare this Shankhpushpi Syrup by using the efficient team of professional to give exact and accurate syrup to the patients to work effectively and quickly. - It has been claimed as one of the few herbs which reduces stress level and puts brain in a relaxed state. This syrup is very useful in nervous exhaustion improves, memory, mental fatique, sleeplessness. It is a god's gift for the students. Driven by vision to achieve significant growth in the industry, we are engaged in manufacturing a wide range of Shankhpushpi Capsule. : Natural and safe, improves memory, useful in insomnia. Indicated in anxiety, disturbed sleep, agitation and depression. - Used as a brain tonic, alternative and febrifuge. We are engaged in offering Shankhpushpi which is an ideal tonic for memory boosting and meditation and is ideal for all age groups. It is enriched with pure ingredients which gives strength to the nervous system and refreshes the mind. This syrup is also helpful in removing stress, anxiety and improves the grasping power. Shankhpushpi (Convolvulus Pluricaulis) and Brahmi(Bacopa Monnieri) both are brain tonic and memory stimulant. This is an unique Ayurvedic formulation to enhance memory , concentration & intelligence. - Improves memory & concentration in children . - Helpful in mental tension & insomania . - A natural herbal tonic for intellectuals.